Beyond baby pictures, political posts, and ROFL cat videos, social media has the amazing ability to broaden our perspective and open us to new worlds. As part of the POPSUGAR Insights 2014 Healthy Living Report, we asked women to share if they’ve ever tried an activity related to healthy living based upon something they first saw posted on a social network like Facebook, Pinterest, or Twitter. Perhaps not surprisingly given the ease, the most popular responses were related to clicking a link and visiting a “website that posts health, diet, or fitness content” (40%) or visiting a “blog that posts health, diet, or fitness content” (36%). 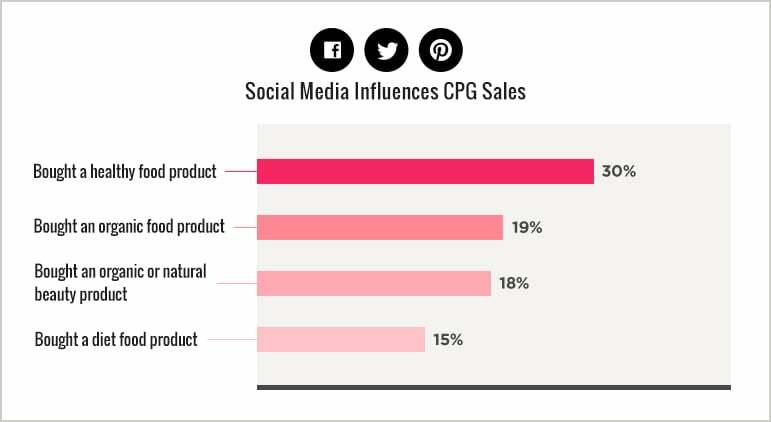 Proving that social media posts can influence product sales, 30% of women indicated that they have “bought a healthy food product,” 19% have “bought an organic food product,” 18% have “bought an organic or natural beauty product,” and 15% have “bought a diet food product” based on something they saw posted on social media. Rounding out the list, women have been inspired to take positive action and take an active role in creating a healthy lifestyle via social media: 19% of women have taken vitamin supplements, 18% have read a health or fitness magazine, 14% have “gone on a diet that they read about online,” and 12% have “subscribed to a health-related newsletter” based on something they saw in their social media stream. Social media is having a profound effect on the healthy living choices that women are making. Marketers need to find authentic ways to be a part of this conversation and deliver relevant and reliable information to help women achieve their goals. Brands need to focus on developing content that is easily consumable and organized but refreshed often. Given the nature and complexity around the topic of healthy living, brands that connect women with credible sources who can provide answers and direction would be extremely well received. Additionally, brands need to think about content creation in terms of sharability — allowing their recipes, tips, success stories, and other content to be shared and inspire more women to take notice and take action.